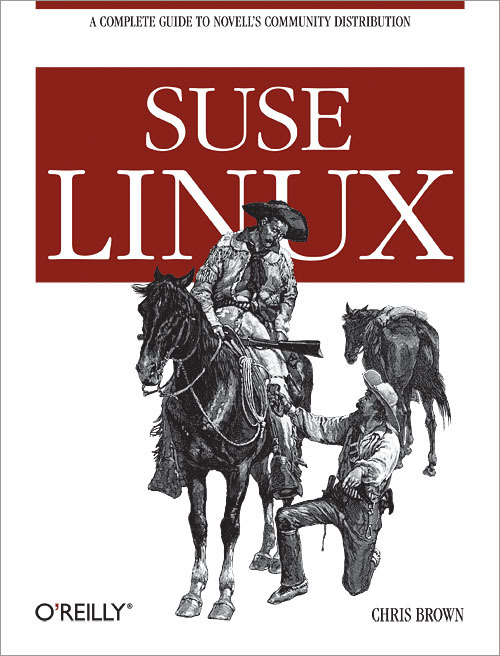 I’m giving away “SUSE Linux” by Chris Brown, a book I reviewed here at ComeAcross. It’s the first edition of the book, published in July, 2006, and it’s about 430 pages. It covers pretty much everything you’d like to know about SUSE Linux. I encourage you to read my review to see if you’re interested. Retail price is $39.99, but you’ll get it for free if you simply tell someone you know about ComeAcross and encourage them to subscribe to the ComeAcross feed. Now that I’ve re-designed ComeAcross, you can choose to subscribe only to the feed that interests you. See this post for more details on that. To qualify, just leave a comment on this post, letting me know you’ve told someone. If more than one person is interested in the book, I’ll hold a quick drawing and pick their name at random this following Sunday morning. I’ll announce the winner on my blog, and link to his or her site, if they’ve got one. The winner will be responsible for the shipping cost. By the way, there’s another book giveaway going on. It’s a book on Change Management. well, i got it now. But in your previous post you told me he has not made the payment yet. So i thought he has booked it and the payment is yet to come. Anyways, will look for it somewhere else. Good to know you. Amit, you don’t understand… I already sent him the book several months ago. It’s already been given away. I don’t have it any more. Hope this makes it clearer. well, so should I wait for jeremy to send the payment to you or you can let me know the shipping charges. Can you please email him and find out if he is still interested in it or not? Is the book still avialable? Can you send it to me please? Hey Jeremy, I’ve still got it. Send me your mailing address via the contact form, and I’ll send it to you. I’ll let you know what the shipping price is once I send it, and you can PayPal the money to me. Is this book still available? I am trying to learn SUSE Linux and came across your review and blog post. It looks like none of you like SUSE. Such is life sometimes, right? The book is still up for grabs if anyone is interested in it. You won’t have to tell anyone about anything, but you’ll still need to pay for shipping. 🙂 Just leave a comment here telling me you want it, and I’ll contact you via email. I can only guarantee you that the book will remain available for the next couple of weeks. After that, I may donate it. I’m serious about giving these books away. I want to do it, and I won’t have them hanging around just for kicks.